We ensure that your visit will be a very informative and unforgettable one. We separate ourselves from other Cosmetic Dentistry centers by providing our patients with the latest technology and a highly experience team of doctors and assistants. This way we ensure to cover any doubts or questions you might have before arriving. 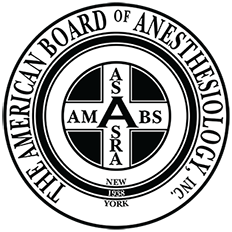 We devote our time and passion to our patients and our area of expertise. When scheduling a free consultation with one of our doctors, be prepared with any detailed questions or concerns you might have. We assure you that we will have the answers. We offer Same Day Teeth with popular procedures like All-On-4 and our new techniques Solid 6, and Solid 8. Rest assure that our team will take the time to identify a unique treatment plan that is right for you. Our mission is to create a world full of long-lasting smiles, one patient at a time, starting with you. Every patient is different; therefore we cannot guarantee every patient’s investment to be the same. What we can guarantee is that once your unique treatment plan is established and reviewed by our panel of elite doctors, an all-inclusive, one-time fee will also be established. This will not only save you money but also avoid any unpleasant surprises. Our Board Certified Anesthesiologist can assure that your “Big Day” is a happy day consisting of minimal discomfort and full of smiles. We are confident and proud of what we do. 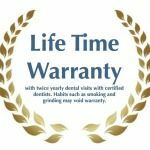 We offer a life time warranty on our Permanent Dentures to patients who maintain their routine 6-month visits to their certified dentist. Habits such as grinding and smoking may void warranty. Trust: Everyone deserves a unique, beautiful, and long-lasting smile. 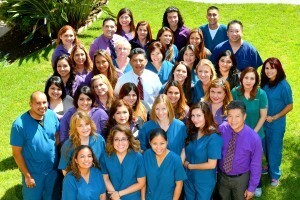 California Implant Smiles is here to help you accomplish yours and we appreciate the confidence you have placed in us. Communication: We will communicate with you to make recommendations that will help you attain the smile of your dreams. We will be honest, truthful, up front and open at all times, and because it is important to us that we build a valuable and long-lasting relationship. Honor: We will honor our promises because we honor you. …Located in the heart of Orange County! We Offer a No Obligation Complimentary Consultation. 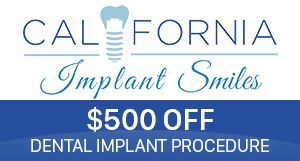 California Implant Smiles will establish a comprehensive treatment plan for your new smile.